The one hundred dollar Android console now has more than 10,000 developers working on games worldwide. 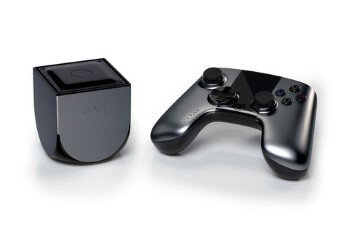 It can be easy to be a bit skeptical of Ouya. While it impressed many when its Kickstarter campaign raised nearly 9 million dollars, it hasn't been all sunshine and flowers for the console. In March its makers confirmed that it would be heading to retailers in June with many of its community features temporarily absent. Recent benchmark testing also indicated that the one hundred dollar console is already underpowered when compared to many prominent mobile devices. Even so, there are a lot of people who believe in Ouya, and its hardware makers have revealed that this includes as many as 10,000 developers worldwide. The number was revealed by Kellee Santiago, co-founder of thatgamecompany and the current head of developer relations for Ouya. "It's really awesome, especially at this early stage of the console still being in the preview period. The last month I've been so excited to just interact with the Ouya developers who are really people who signed on to the mission statement of Ouya early on and are the people who are just as excited as we are about the platform. It's been great to hear and that the number continues to grow at such a rapid pace is very validating." Having a large stable of developers at your disposal is certainly a boon, but it says little about the quality of the products they're producing. Santiago admitted that many of the games currently being made are more experimental than polished. "I think a lot of the developers have appropriately approached this early phase in getting their dev kits with just playing around and experimenting with the platform, so what you see on the store today are a number of sort of raw experiments, which I think is really cool that you can have a console that has such raw material on it, but we are also seeing more just genuinely fun and polished experiences." Plainly put, it's more than possible that Ouya could wind up in a similar place to other Android devices when it comes to gaming. I love the occasional bit of gaming on my Galaxy Tab and have stumbled across some excellent gems, but you often have to wade through a lot of less than wonderful games to find them. It can be an annoyance, but it's also an arguable part of the less restrictive development environment that Ouya's makers are hoping to foster. It could be off-putting to some consumers, but I have a feeling the target audience for Ouya may not be the type that's rankled by a bit of inconvenience.